Welcome to Killer Panda, your home for great brand names, IT company names, cool company names, construction business names and much more. 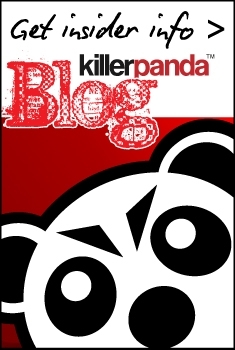 This blog has been designed to keep you up to date with what’s going on at the main Killer Panda site and to be a great platform where you, the reader, can send in questions about naming their company or how to develop a name for their business or product. We’ll have our naming experts answer your questions and more so please, keep coming back! We’ll thank you for the comment, I’m not really sure if this is a question or comment about brand development but we appreciate it anyhow. Keep checking back as we’ll keep posting what’s going on in the exciting world of brand development.